The IT and print services industry is changing. And changing fast. No longer a simple matter of matter of shifting boxes from warehouse to reseller to end user, it’s a sector focusing more and more on long term relationships between customers and print solutions providers. ‘Backed by Brother’ was a completely new service proposition created by DGR to help Brother in this ongoing realignment from pure product sales to a much more consultative offer. A way of giving the company’s crucial VAR (Value Added Reseller) channel partners access to an extended range of services to pass on to their customers, it was a new toolkit for a new way of doing business. 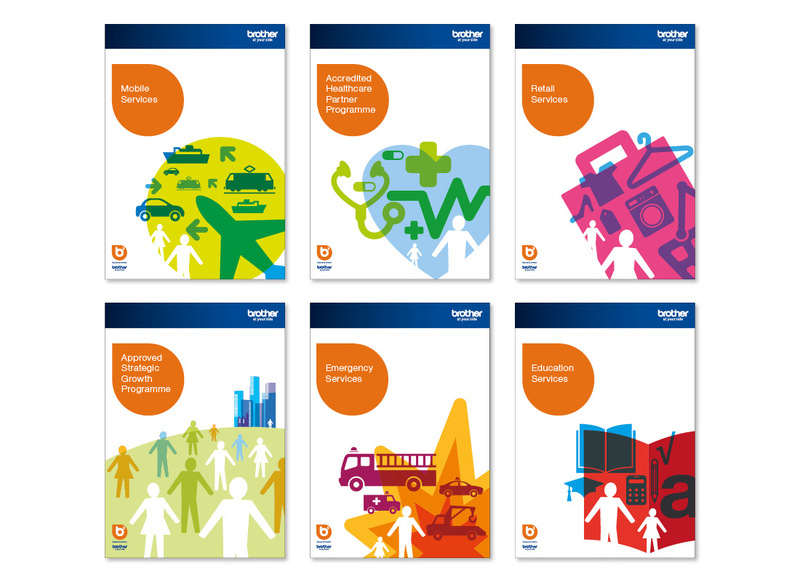 So our approach was to create a completely new graphic language around Brother’s key public and private sector end user markets. This distinctive look – inspired by the work of celebrated graphic designer Saul Bass – provided a visible point of difference in a market dominated by b2b clichés. The ‘Backed by Brother’ brand, meanwhile, promised direct, practical support of the kind only an organisation of Brother’s size could deliver. But beyond that, it also channeled some of the softer values that are so important to the Brother brand. To ‘back’ a person or business goes beyond merely providing them with the right tools; it means showing loyalty, commitment and faith in their long term success. Exactly the kind relationship that delivers success for Brother and its channel partners alike. 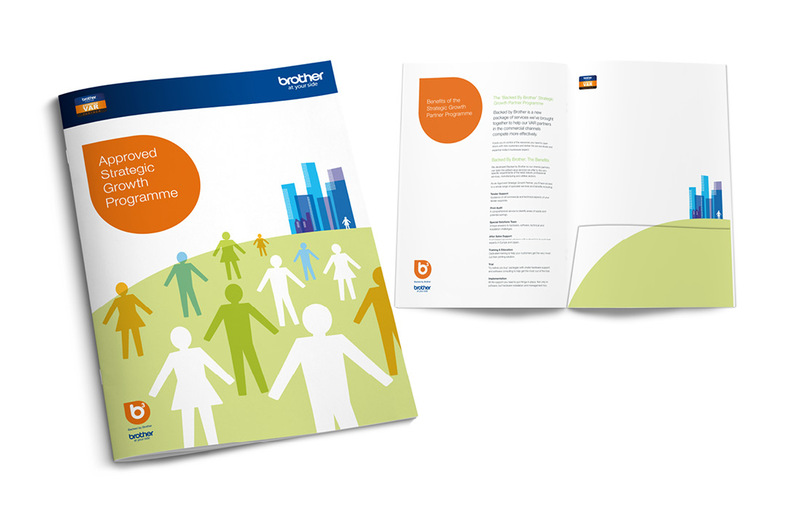 Print – Sector-specific service guides for channel and end user audiences. Co-branded sales material.